Some say only the fittest survive, well, in reality only they survive who adapt seamlessly. The world as we know it is rapidly changing, and the factors driving this change is Technology. This particular technology is percolating into every sector and systems imaginable, bringing about a paradigm shift. To help spread awareness and learn about this powerful tool, CIBA is organising a Seminar on the subject on February 1st, from 3 pm to 5 pm at our centre in Verna. "Decoding the Complex World of Machine Learning." 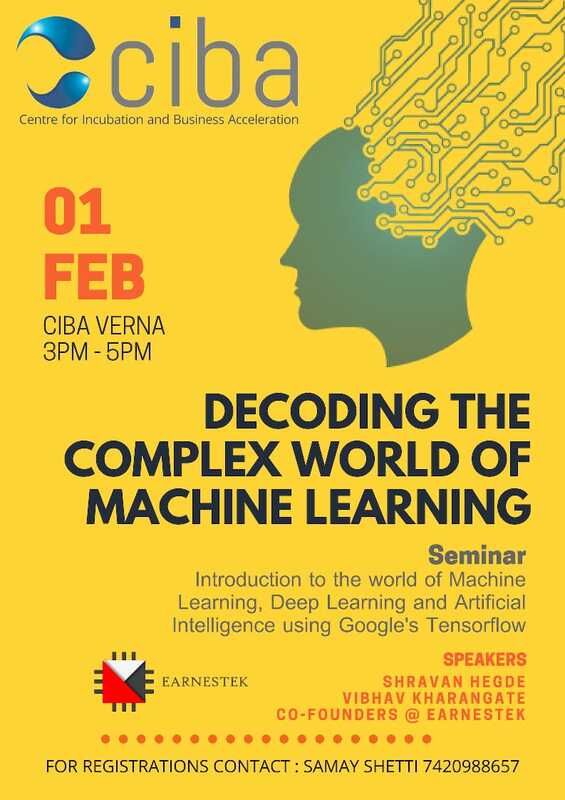 This seminar is designed with a focus on Students, Innovators, Businesses and academia who want to understand the basics of Machine Learning, its uses, its advantages and the benefits of Implementing it.